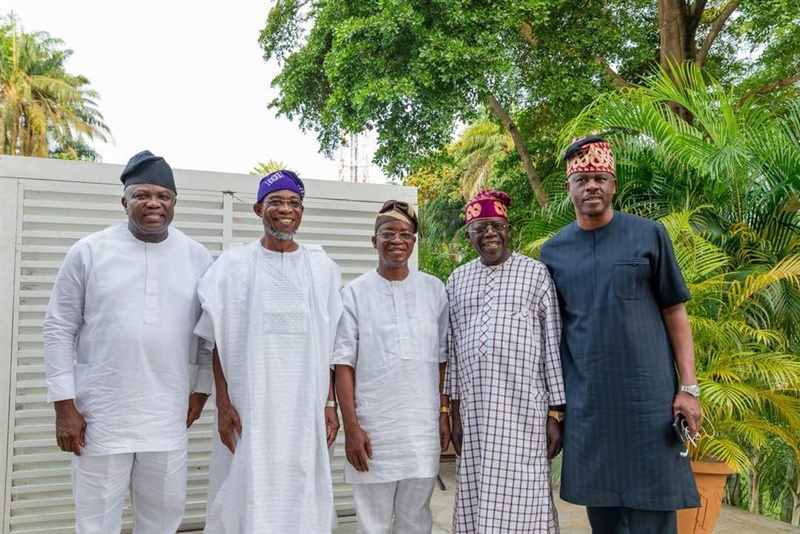 L-R: Akinwunmi Ambode, Rauf Aregbesola, Gboyega Oyetola, Ahmed Tinubu and Musiliu Obanikoro. . 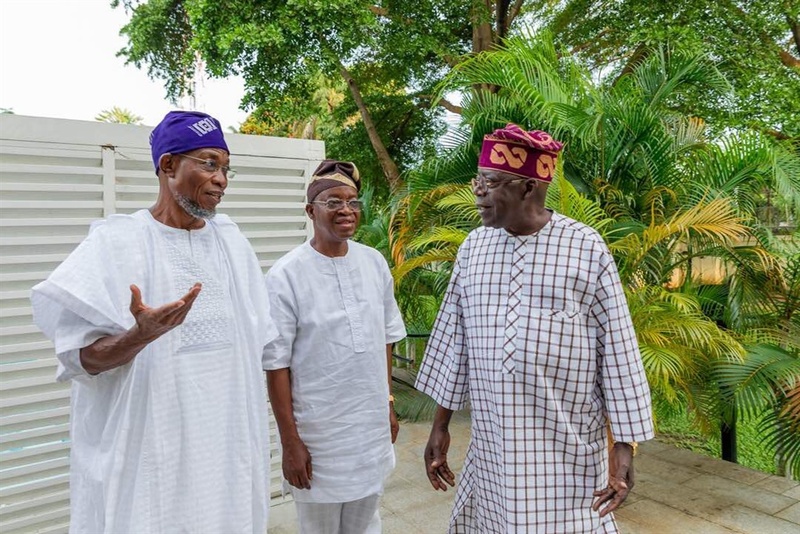 The governor-elect has now been introduced officially for the first time in that rank, to the national leader of APC Asiwaju Ahmed Tinubu and Lagos State governor Akinwunmi Ambode. 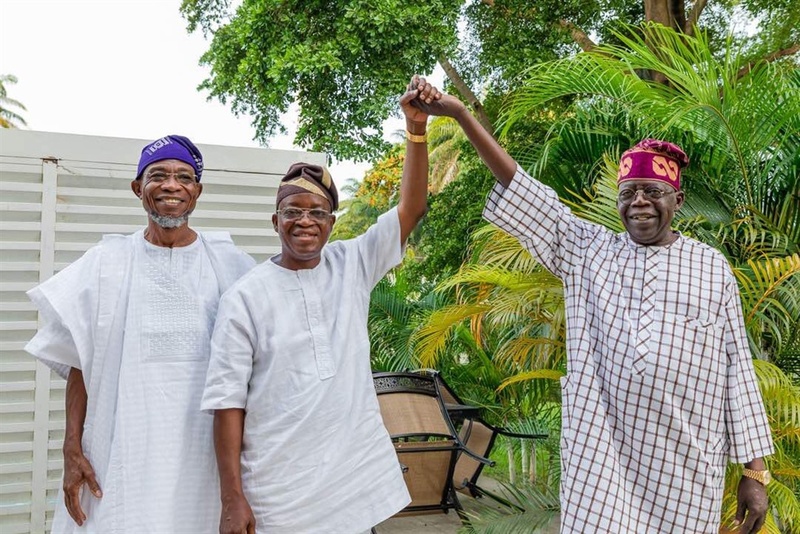 The election has come and gone, and All Progressives Congress’ Gboyega Oyetola has emerged winner and governor-elect of Osun State. While Peoples Democratic Party candidate Ademola Adeleke is heading to tribunal to contest the outcome of the election, celebration has already began in the camp of Oyetola. He was presented to the party leaders by outgoing governor Rauf Aregbesola.